YouTube said it decided to pull ads after a “recent pattern of behaviour” but didn’t point to a specific video. 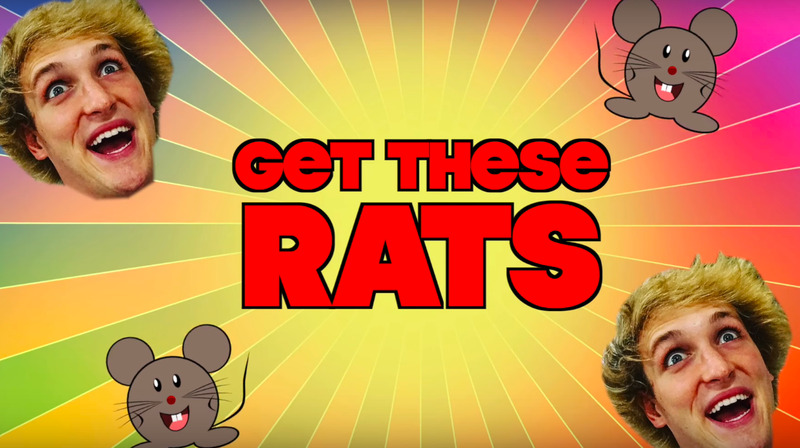 Animal rights activists PETA criticised the recent video of Paul tasering rats and said it had asked YouTube to remove the video, though it’s still available to view. Paul was removed from Google’s Preferred Ads programme and had a movie deal suspended after he uploaded footage of a dead body in Japan’s suicide forest. Logan has made a number of controversial videos, even after being disgraced for posting footage showing a dead body in Japan’s “suicide forest.” All the recent videos likely break YouTube’s advertiser-friendly guidelines, which stipulate against “harmful” acts. In one recent video,Paul finds two dead rats on his balcony and discusses with his friends how to get rid of them. The two animal corpses are shown on video before Paul pulls a Taser gun out of his pocket and fires at the two rats. “No rat comes into my house without getting tased,” he then says. YouTubeThis graphic pops up just after Logan Paul tasered two rats on camera. 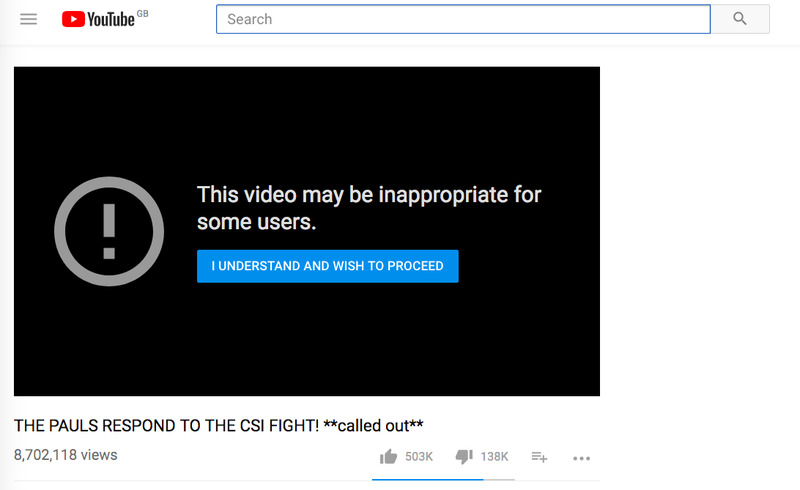 The video is still visible on Paul’s channel, though YouTube has overlaid a warning graphic that the content is sensitive. YouTubeYouTube hasn’t removed Logan Paul’s video but has added a warning graphic. In another video, Paul encourages his viewers to participate in the Tide Pod Challenge, a dangerous stunt that involves ingesting the poisonous, brightly coloured laundry tabs. Paul faced a massive backlash in January after posting the video of himself with a dead body in Japan. He was criticised for his insensitivity towards the suicide victim, and the topic of depression and suicide more generally. The resulting outcry resulted in YouTube suspending a planned movie deal, and in his removal from YouTube’s Preferred Ads programme, which prioritises top creators for advertising.